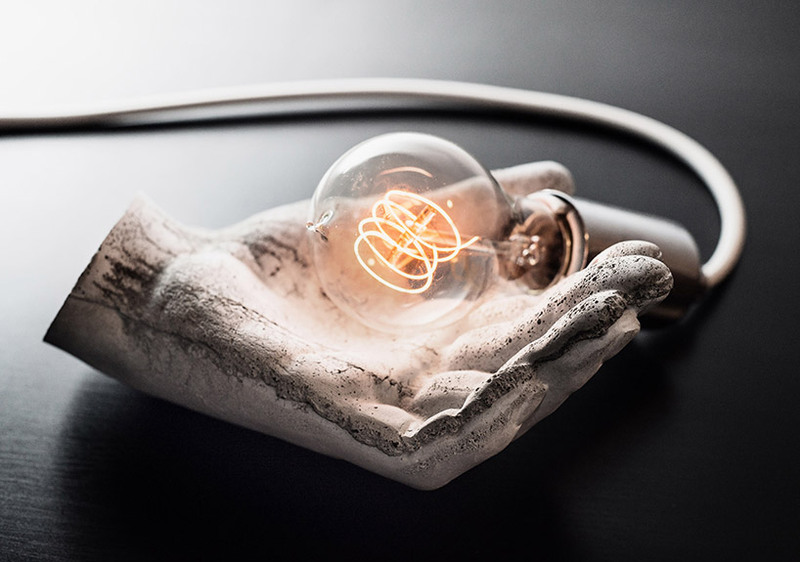 One of the annual highlights at IDS Toronto is Studio North – a curated space of custom collections presented by local and international creatives, displayed in a gallery-like setting. 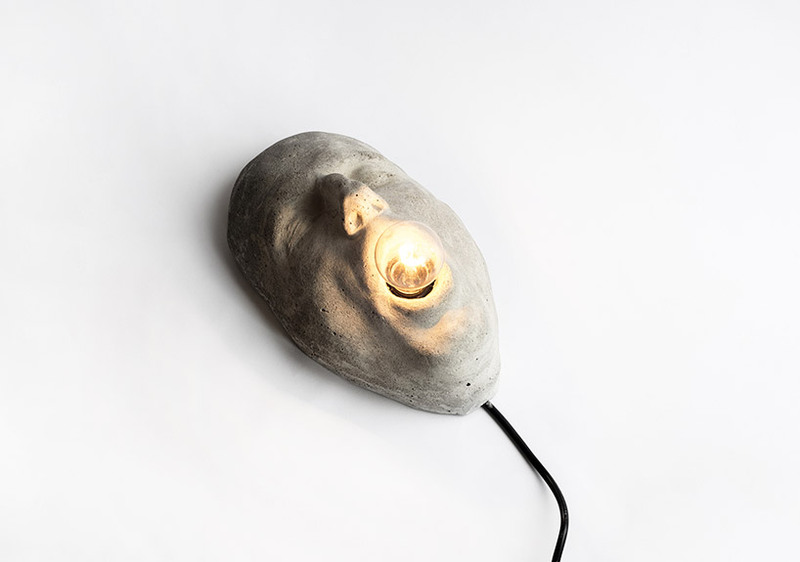 As part of this year’s showcase, Italian, Toronto-based designer CEK presented a series of concrete luminaries that draw from the forms of the human body. 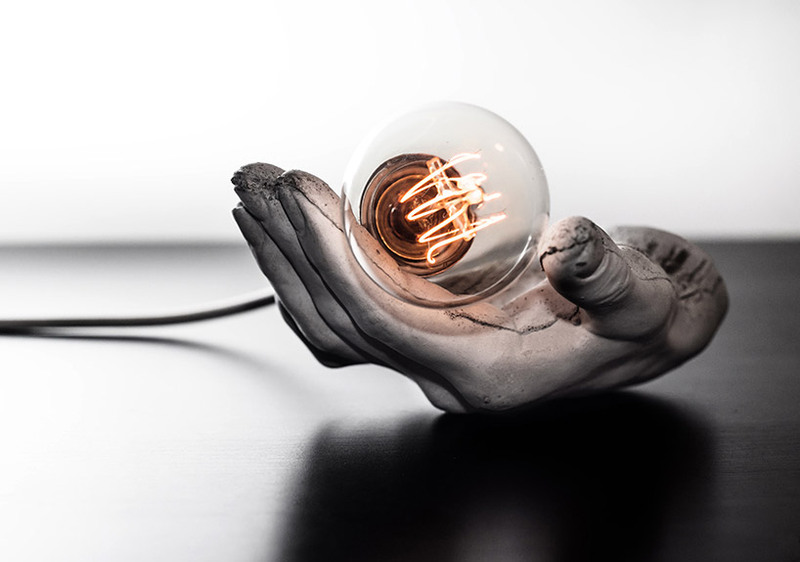 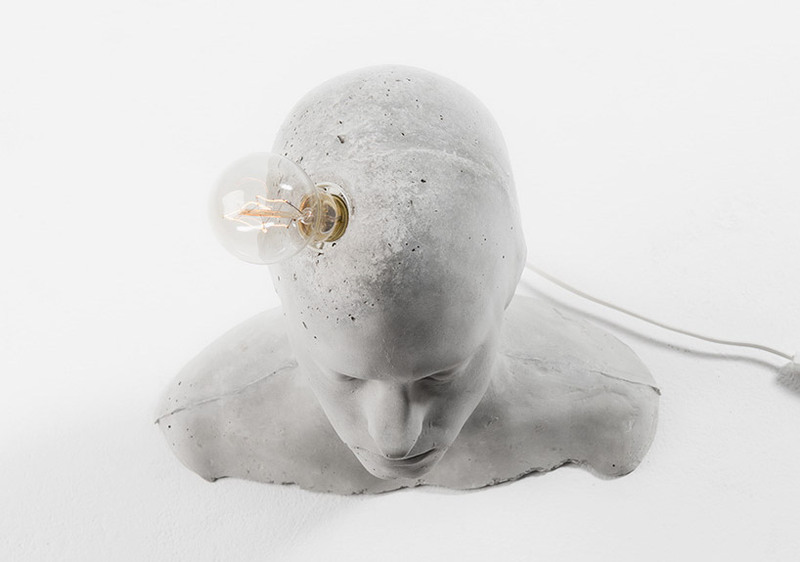 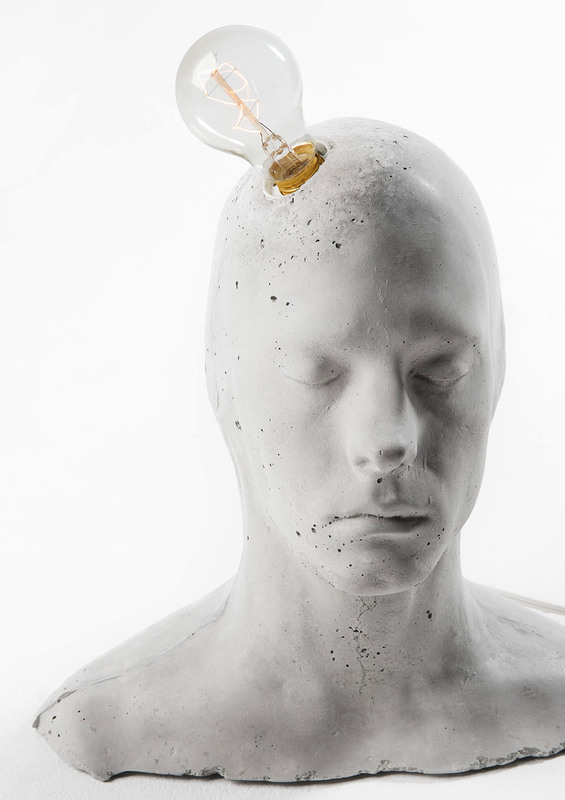 The sculptural light works each incorporate bulbs within cast concrete faces or hands, creating unconventional interpretations of the human form. 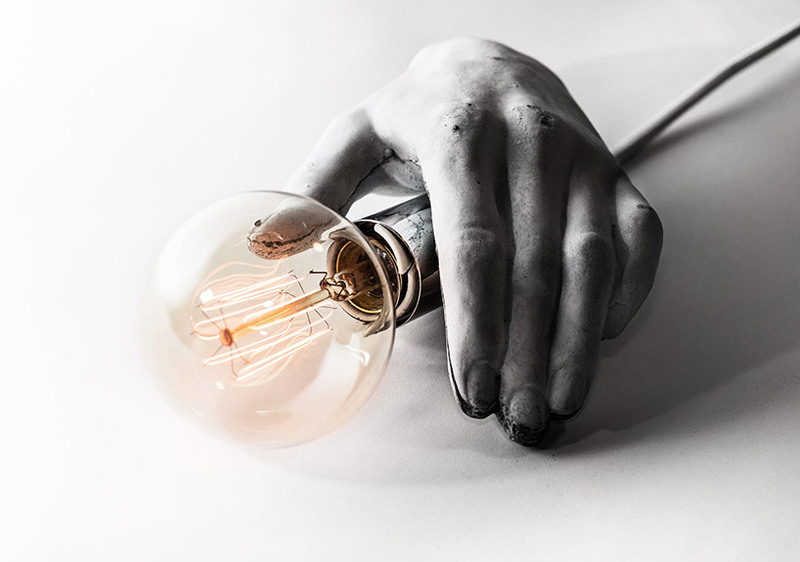 CEK’s work blends body parts with bulbs, incorporating sources of light into various characteristics of the human figure. 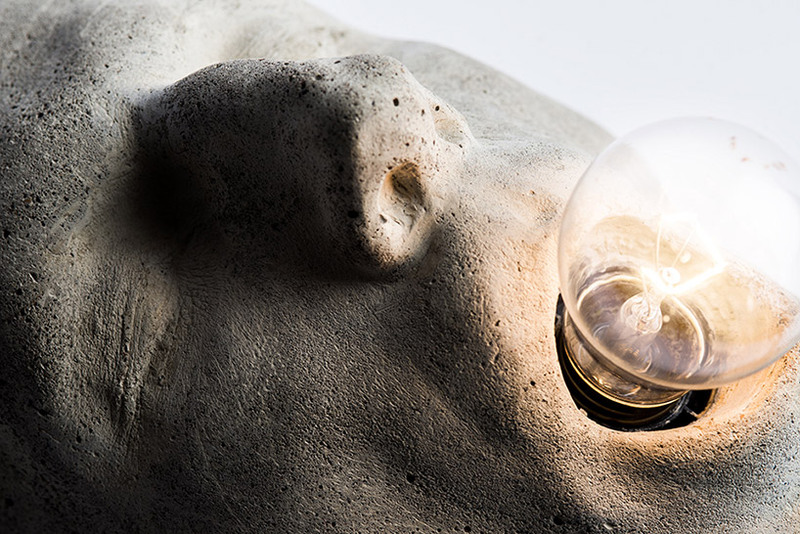 At IDS 2017, the designer presented a collection of luminaries within a booth whose walls displayed a reimagined version of Sol Lewitt’s ‘Wall Drawing 51’, connecting all the architectural points on the surface with a chalk line. 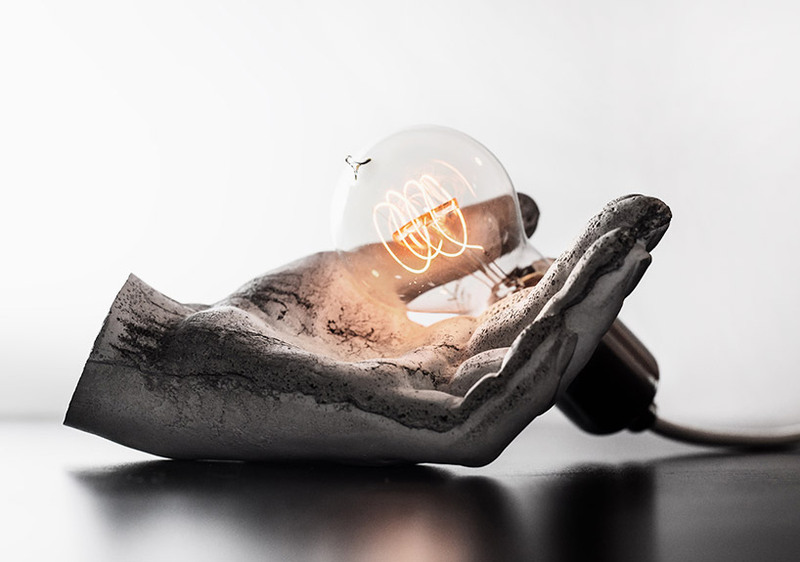 Exhibited lights like ‘Eureka’, ‘La Mano De Dios’ and ‘Fel_Light_Tio’ each combine cast concrete volumes with electrical light sources. 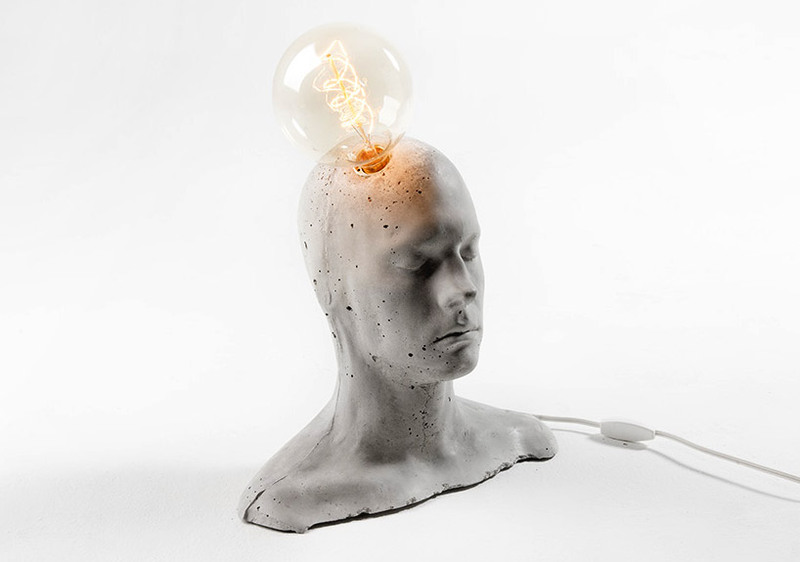 A bulb breaks free from the head of a male bust, a light emerges from the mouth of a sleeping figure, and a hand holds a source of illumination within its grip.